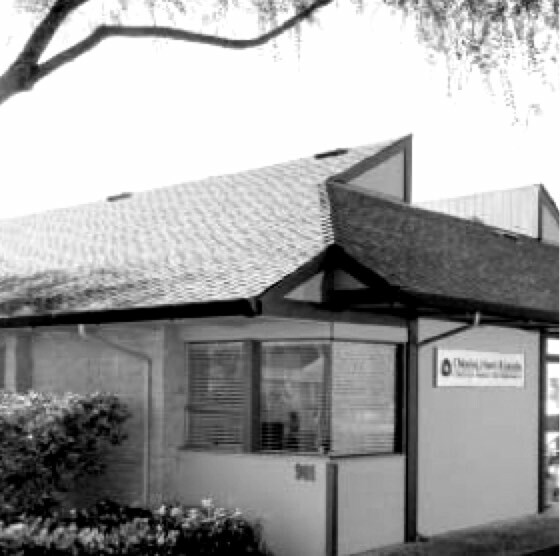 We are a local CPA firm trusted by businesses, individuals and non-profits in Santa Cruz since 1938. Our core services include but are not limited to Tax Compliance, Financial Planning, Financial Reporting and Decision Support. Tax Compliance is one of our core services for Businesses, Individuals, and Non-Profits. Somewhere between transaction support and full blown financial planning lies personal tax, economic and cash flow planning unique to your special needs. Accounting regulations now permit us to perform financial statement engagements, a simpler and less costly engagement than compiled, reviewed and audited financial statements. Our clients rely on us to help analyze the tax, cash flow and economic consequences of decisions, from business transactions to personal investments and estate and trust planning. We can eliminate the guess work by modeling realistic start-up costs based on actual costs and experience with similar business. Custom models for translating business projections, or actual operating results into realistic cash flow projections. Consider the tax, cash flow and competitive economic advantages of forms of entities year in and year out, with special consideration given to the likely sale or exit scenario. We collaborate with owners, partners and legal counsel to develop buy sell formulas and related contractual language to create functional agreements for both the departing and remaining owner. Proper selection, customization and implementation of accounting and information systems can provide management with essential tools for success. Under the supervision of our CPA professionals, our firm provides accounting and payroll services for companies requiring everything from occasional accounting support though full service. A well-conceived compensation strategy can turn this expense into an asset by helping attract and retain quality employees. Planning for salary increases, bonuses, employee benefits and headcount gives companies a competitive edge, particularly in sensitive stages of growth and tight labor markets. Deferred compensation is both a competitive tool to attract and retain the best talent and also one of the most appealing methods to lower your tax burden. Succession of a business to the next generation can be fraught with financial and personal hazards especially. Most plans take years to formulate and execute. Mapping out likely exit scenarios often causes change in operating behavior. A company planning to sell might need to retain more cash, reduce or increase inventories, expand credit lines, negotiate long-term leases, secure contracts with key employees or suppliers and much more. Before you close the deal we will map out the immediate financial impact of your home purchase on your monthly cash flow as well as year-end tax taxes. 401(k)s, IRAs, Roth IRAs, SEPs, SIMPLEs and defined benefit plans. We can explain the options available and help you decide what’s best for you. Changes in your legal marital status will affect your income tax. Best to know what will happen before you do either. One of the more complex areas of the tax law and possibly one of the best investments you will ever make. A 3 stage process: creation, preservation and transfer of wealth, each requiring fundamentally different tax strategies. 1) allows your assets to be distributed heirs quickly; 2) keeps your affairs confidential; 3) avoids probate; and 4) potentially shelters assets from the estate tax. We can help you select from a variety of pension distribution options and map out future income and after-tax cash flow. Trusts, gifting, valuation discounts, charitable bequests are among the powerful tools to facilitate your wishes while managing potential estate tax. Surviving spouses often face complex trust funding decisions with profound economic, tax and personal implications. The first step in forming a non-profit organization in California is incorporation. The next step is to determine which federal and state tax exemption applies to your organization and to apply for tax exempt status with the IRS and FTB. Net profits from activities unrelated to the tax-exempt mission of the organization are subject to tax. We will assist you in identifying activities which generate UBTI and report it when necessary. Foundations are usually subject to tax on their investment income and are required to give a certain amount of money away to other exempt organizations or to exempt functions, in order to maintain their non-profit status. The can assure that the wishes of funders are executed faithfully for the indefinite future. Non-profits often have vastly different reporting requirements than their for profit equivalents due to the nature of operations and requirements of grant making organizations. The accounting system should be a stable but flexible platform to provide information to a variety of user. Our core services for Businesses include but are not limited to Tax Compliance, Financial Planning, Financial Reporting and Decision Support. Our core services for Individuals include but are not limited to Tax Compliance, Financial Planning, Financial Reporting and Decision Support. Our core services for Non-Profits include but are not limited to Tax Compliance, Financial Planning, Financial Reporting and Decision Support.